From the enthusiastic, dedicated, skillful and caring team to the comfortable and inviting atmosphere, it’s hard not to feel at home when you visit one of our offices for orthodontics in Mississauga or Sudbury. You’ll be known by first name, your time will be valued and the staff will always ensure that your wait time will be short, engaging and fun. What sets Hometown apart from other offices? Simply stated – it’s our commitment to you and not just your teeth! We value individuals and individual interactions and hope to build a personal relationship with you that will last a lifetime. We believe in giving a “hometown focus” to patient care with world-class customer service and we do it using cutting-edge technologies and leading innovations, ensuring our patients receive the best, safest and most efficient treatment. We love to see you smile and want to give you the Hometown smile that you can greet the world with! We hope that your journey with us will give you a smile that will inspire you to LIVE, LAUGH, SMILE! We offer the latest advances in orthodontics including Invisalign, Invisalign Teen, Lingual braces, clear braces and for those who love colour, traditional braces with coloured elastics. Hometown Orthodontics is also the only office in the Sudbury area to offer AcceleDent, a new technology to speed up your time in treatment. When it comes to cutting-edge orthodontics in Sudbury or orthodontics in Mississauga, Hometown Orthodontics is ahead of the game. Not only is Dr. Virdee the leading provider of Invisalign in Sudbury but she is also the onlyprovider of Invisalign Teen in Sudbury. This means that she has a proven track record of successfully treating teenage patients with Invisalign Teen. Dr. Virdee is also certified to treat patients with lingual braces. So if you really don’t want anyone knowing you’re straightening your teeth – she’s the orthodontist of choice! Virdee regularly place and use Temporary Anchorage Devices in her Sudbury orthodontics patients and Port Credit orthodontics patients. These devices reduce treatment complexity and treatment time, reduce the need for expensive dental work, and in certain cases, may also provide a non-surgical alternative for those patients who would otherwise require surgical correction. If you have ever spoken to anyone that knows Dr. Virdee they will tell you that she is great with kids of all ages. She has a natural ability to draw out the playful side of children and make them feel comfortable in the dental chair. Virdee is committed to taking a multi-disciplinary approach to treatment. This means that she makes a commitment to regularly communicate with your dentist and other specialists, if needed, to ensure that everyone is on the same page when it comes to your treatment. Virdee was trained at Stony Brook University, where the practice of Evidence Based Dentistry was a cornerstone of clinical teaching. This means that all recommended treatments are based on sound clinical research and backed by science. Dr. Virdee continues to practice this way. She believes in putting her patients’ interest first and only recommends treatment, if and when it is needed and uses the principles of evidence based science to treat patients. Dr. Virdee continues to keep up with the latest developments in her field by regularly attending seminars and continuing education courses. During her residency at Stony Brook University, Dr. Virdee had a chance to work along side some of the best oral surgeons, plastic surgeons, audiologists, speech pathologists, orthodontists, prosthodontists and paediatric dentists to treat patients with cleft lip and palate and other cranio-facial anomalies. Dr. Virdee has always been passionate about helping children with special needs because it gives her a chance to make a difference in the lives of patients who need her help the most. Enjoy free WiFi, access to iPADs or satellite TV while you pass the time in our waiting room. Complementary coffee, hot chocolate and juice to make you feel at home. The latest magazines and periodicals to keep you informed and up to date. Nintendo Wii – fun for kids and parents alike! (only available in our Sudbury Orthodontics Office). Friendly and caring staff that make you feel like family. Convenient hours. We know your schedule is busy, so we offer evening offers to make it convenient for you to visit us. Privacy treatment area – for those who request or need additional privacy. Your time is important to us. We make a commitment to keep your wait time short. You are seen by Dr. Virdee at every visit and we will make our best effort to update you on treatment goals that have been achieved at each appointment. Worry free emergency text line. Got a question? Got an emergency? Text our emergency line or message us on Facebook or Instagram and we will respond to your questions in a short amount of time. Whether you’re getting braces in Mississauga or Invisalign in Sudbury, you’ll be rewarded for good oral hygiene, arriving at your appointment on time, taking care of your appliances and generally being a good patient. Patients can also earn points and have fun for doing all kinds of awesome things, including taking part in our contests, getting good grades and getting a cleaning at your dentist. The best part is that you can redeem your points to play games, order gift cards and more! 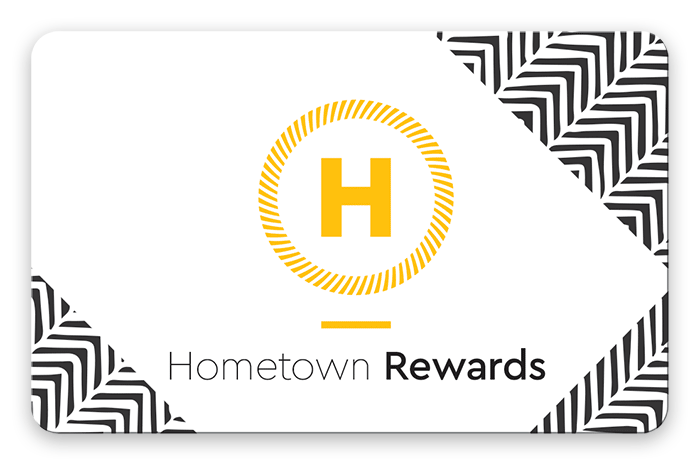 Click on our REWARDS card below to start earning points and prizes! Affordable, high-quality treatment that fits your budget! Contact us for a complimentary consultation.